Richmond-Times Dispatch did it. RCDC did it. RVA Mag popped their cherry. Bellytimber Tavern did it. EVERYONE IS DOING IT. And so are we. Buckle in folks because RVA Dirt is joining the endorsement bandwagon. We feel a candidate endorsement should be a reflection of our goals and culture so we talked at great length to define our character. RVA Dirt's solemn duty to the great citizens of Richmond is to provide high quality content with the hopes of better informing residents on the ins and outs of city politics. We see that some of the concerns our mayoral candidate needs to address are the dangers of live-tweeting-induced-trigger-thumb (LTITT), safety of all RVA residents, and the lack of institutional Richmond Meme knowledge. After careful thought and much deliberation, we have decided to endorse RVA Coffee Stain for mayor. RVA Coffee Stain is hardworking, has a passion for city residents, and other stuff that means he can Mayor us real good. How do we know RVA Coffee Stain is hardworking? Well, the name says it all. It's a coffee stain... not an Idle RVA Coffee Cup. This shows us he has an active lifestyle where he is constantly drinking coffee with total disregard for coasters. Living on the edge AND engaged in his work. Even more important than his hardworking nature is his ability to care for ALL city residents to ensure their safety. RVA Coffee Stain acknowledges there are two Richmonds: human and canine. All too often our elected officials overlook the canine constituent. It is as if they aren't man's best friend! But RVA Coffee Stain has vocally supported our canine companions from the beginning. Recently, he released most consice and honest policy statement I have ever seen come from any Richmond Politician. That policy was addressing a major safety concern of one canine who has been ignored by elected officials for far too long... Bagel the Beagle. RVA Coffee Stain's policy statement says he wants to be mayor "to find Bagel the Beagle." No 10 point plan or fluffy words. Just simple communication. 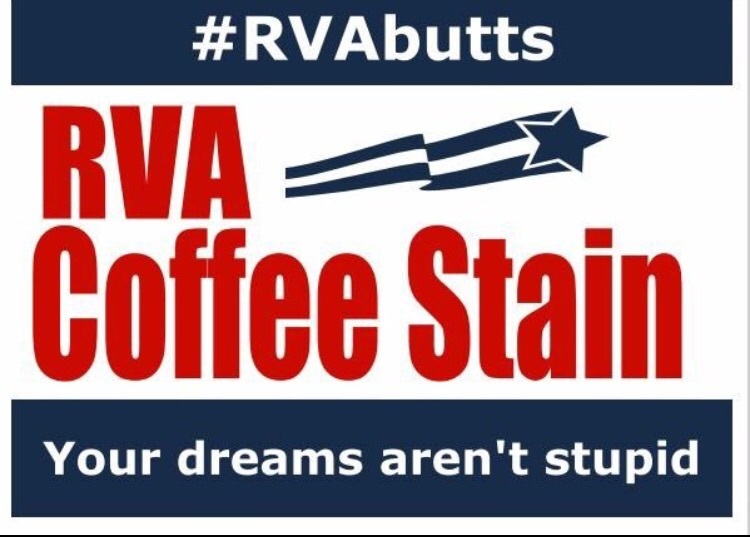 Of course I can't forget that there is definitely other stuff out there that makes RVA Coffee Stain the preferred candidate for mayor. He has done some pretty okay things in the past. You may remember that one time when he did stuff to help that thing. True leadership.